Satin and Sage Events brought all of the tropical vibes to Prism. 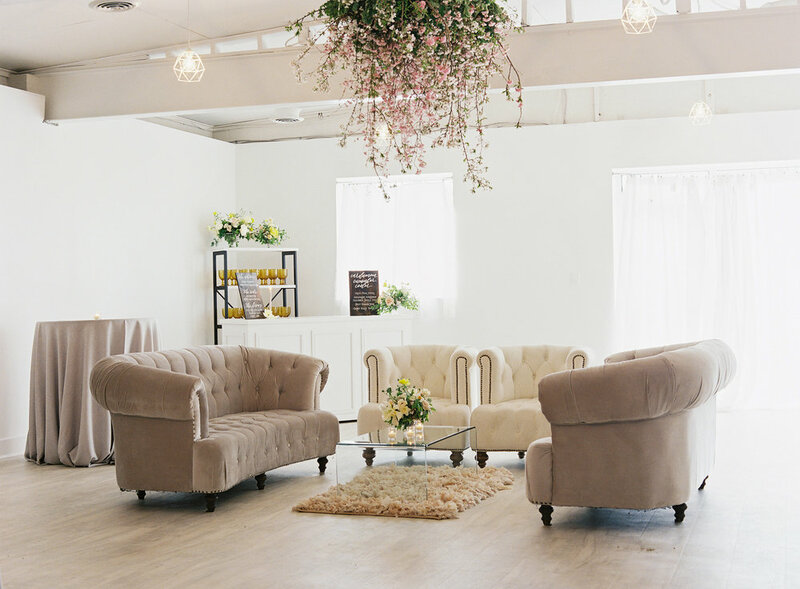 She paired this fresh theme beautifully with our industrial esthetic and Sarah Aaron Photography was there to document each detail. 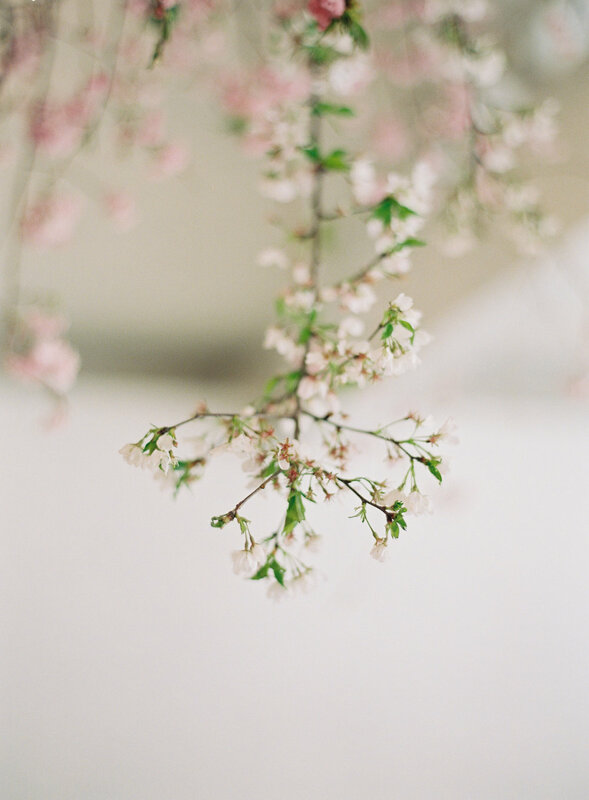 Our lush greenery and florals were provided by JStarr’s Flower Barn. Furnishings were provided by Something Vintage rentals. The rich dark colors stood out in our white space offering a delightful contrast. Our paper good were brought to life by the talented hand lettering of Coffee and Calligraphy. Our bride wore a stunning Wilderly Bride gown that Mary’s Designer Bridal Boutique were kind enough to let us borrow for the shoot. Jewelry was from BaubleBar, shoes were from Nordstroms, and the rings were from Smyth Jewelers. Behind the Veil worked styled the bride’s updo and Make Up by Crista did make up. Our groom was dressed by Annapolis Bridal and Tuxedo. For desert a marbled cake with tropical greens from Buttercream Bakeshop. There to capture video moments from our shoot was Le Moment Videography. 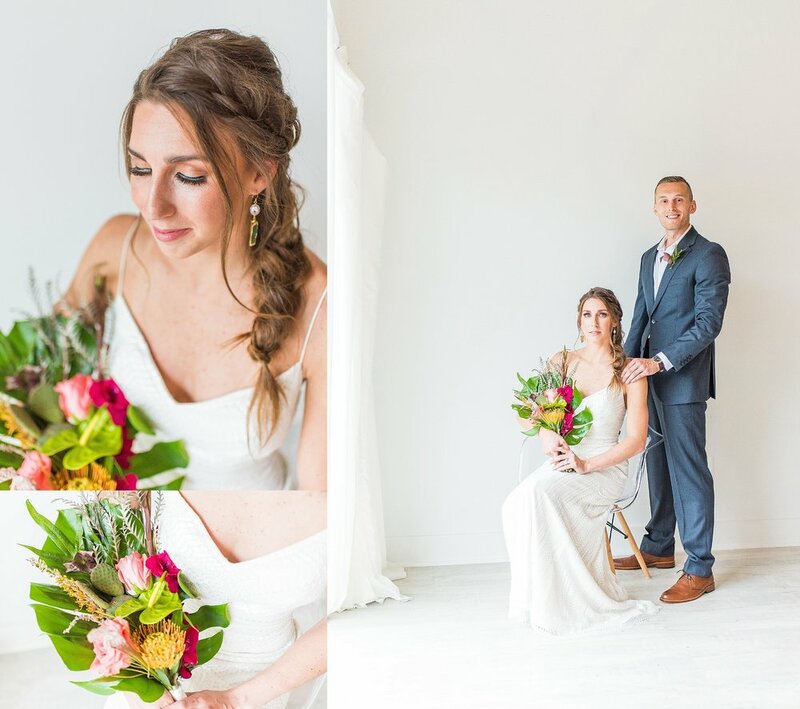 We were blown away when Emily from Emily Brianne Photography and Jess from the Sentimental fool took over Prism for a fabulous Cactus & Copper styled shoot. The details were incredible and Jess's styling creativity has no limits. Emily's gallery is stunning. Susan Wilson Design provided stationary and Pluma Palomino took care of the envelope calligraphy. The gorgeous vintage postage was courtesy of Magnolia Post. 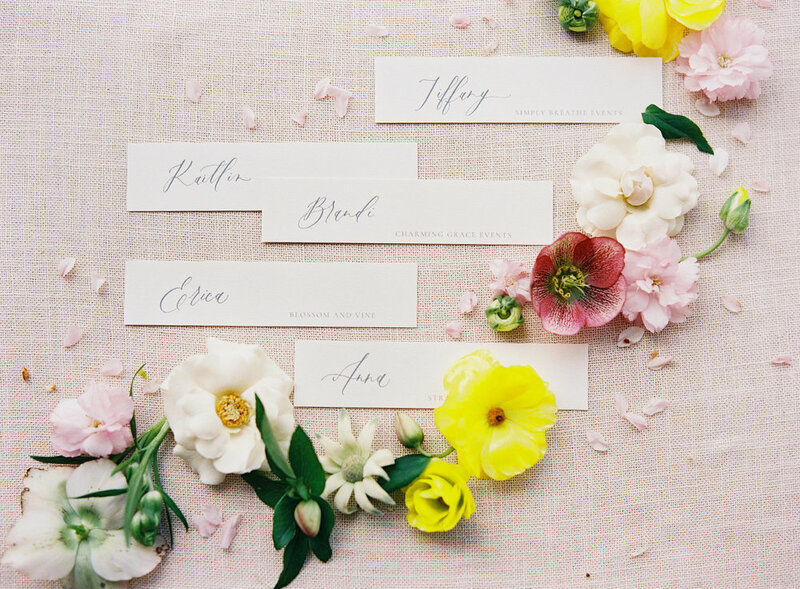 Kaleidoscope Florals knocked it out of the park with stunning florals. The Printed Palm contributed the sweetest signage hand lettered on cactus. Hair and makeup was the talented Gretchen from Wild Hearted Beauty. The wedding gown was from our friends at Annapolis Bridal and Tuxedo. Jewelry was on loan from Rachel Mulherin and we all wanted to bring it home. Our copper chairs were compliments of Something Vintage. Our models were Liz, Dennis, and their adorable therapy dog in training Chester. For desert we enjoyed cake from Little Village Bakery and Rose from Day Owl Rose. 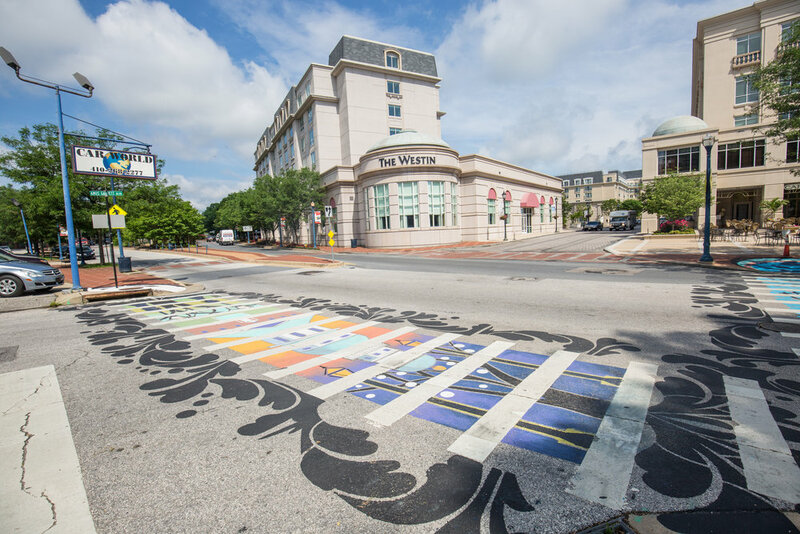 During Annapolis Arts Week 2018 Annapolis Art Walk in partnership with Art at Large and Studio 39 Art Magnet painted beautiful crosswalks across West Street and Amos Garrett. 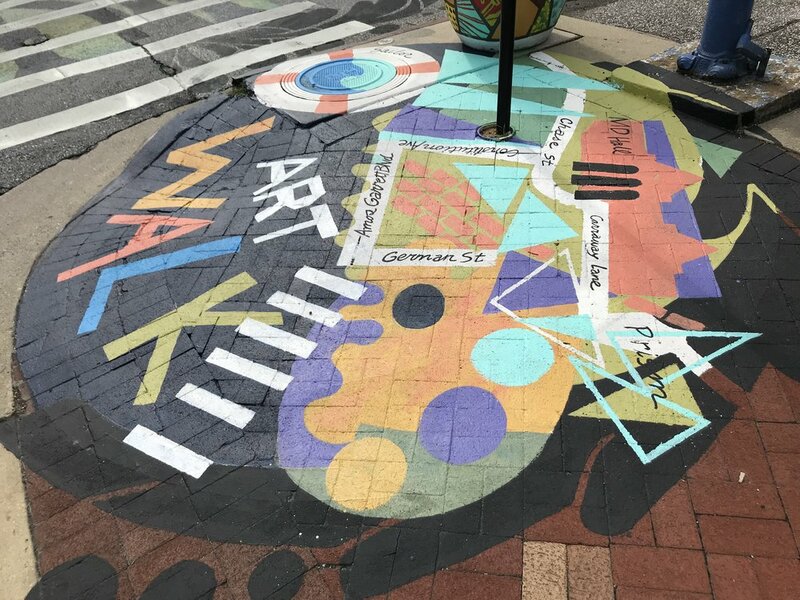 Charles Lawrance, Sally Comport, and Patrice Drago all painted a large circle at each connecting sidewalk. 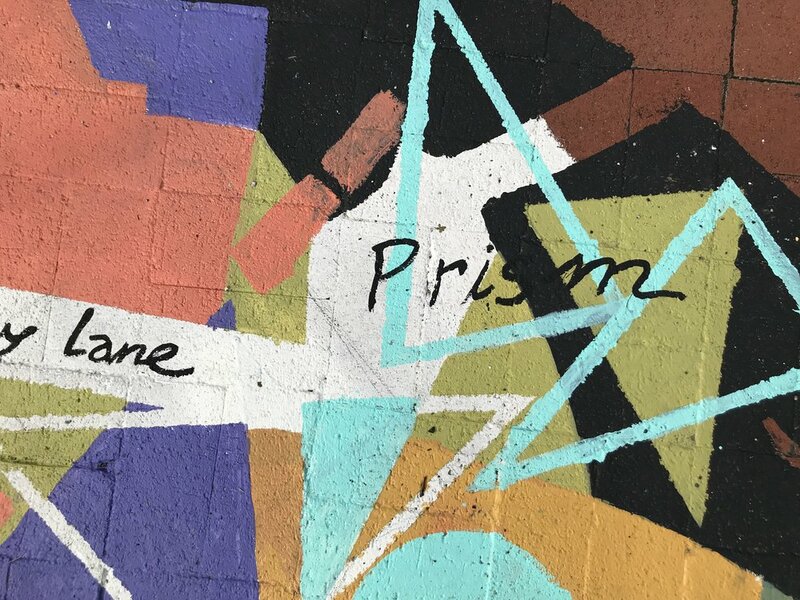 Prism was home base for the week as this project came to life. Painting started at 4:00am each day. Adriana Gorman of Adriana Marie Events throws an affair for local event planners each year. Prism was fortunate to host this year. It was incredible seeing vendors come together to celebrate each other. The team of vendors were a dream to work with and the talent in the room was incredible. Party Plus co-hosted the event and provided tables, linens, drapes, and the bar. White Glove Rentals sent over gorgeous seating options and place settings. Mixing Maryland provided great tunes. 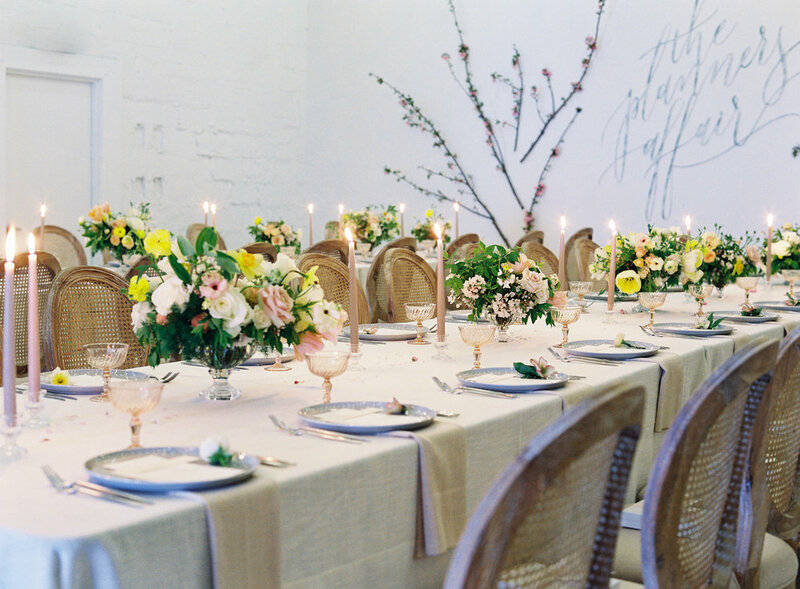 Blossom and Vine hung a beautiful chandelier of blooming branches and graced the tables with the pretty pops of yellow flowers. Eleven Courses fed us an array of trend setting foods including a lucky charms themed dessert. Custom Crafted Calligraphy contributed beautiful paper goods, menus and place cards . Gifts arrived for each guest courtesy of Marigold & Grey. Grove Lettering designed the Planner Affair logo and provided signage for the event. Bay Ridge Wine & Spirits provided the ingredients for the signature drink of the night. Documenting this occasion was Monchetti Weddings with video and Michael and Carina with film and digital photography.